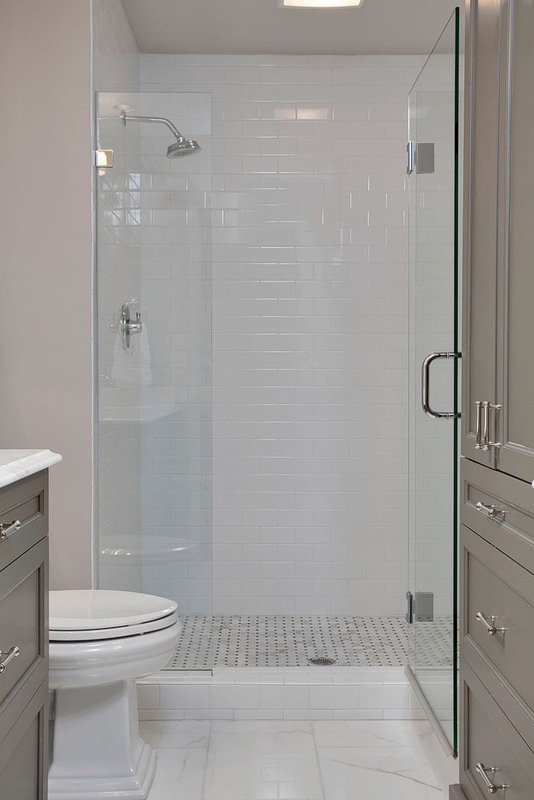 This collaborative project required demolition of the client's existing bathrooms. The cabinet doors are recessed panels sprayed with tinted lacquer. The vanities feature unique furniture feet.